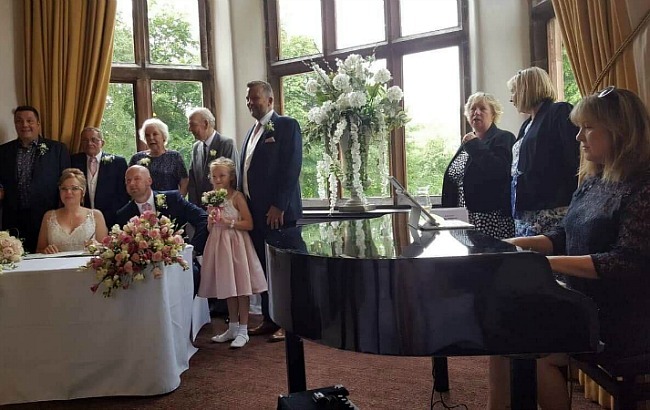 As a professional events and wedding pianist of the highest calibre, Andrea can provide beautiful music for all occasions. 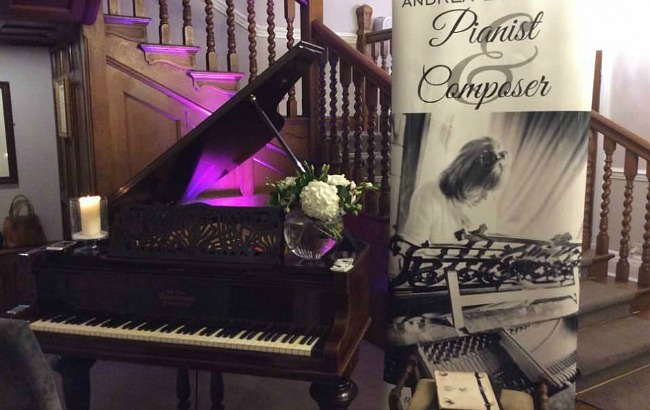 Here you can read more about her services, get specific details about hiring Andrea to play at your event, listen to her exceptional music, and read the reactions from many of Andrea’s happy customers.. 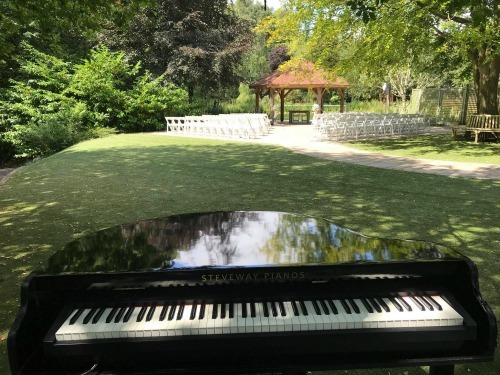 I would highly recommend booking Andrea for any event but especially a wedding as it was such a special touch to be walking down the aisle to soft, beautiful, live music. 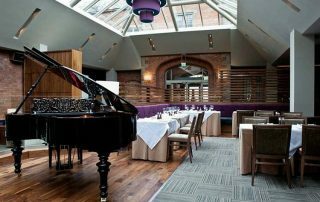 The first thing i said was “wow, the piano sounds incredible”. Andrea we cannot thank you enough and i we will recommend to any friends and family in the future! 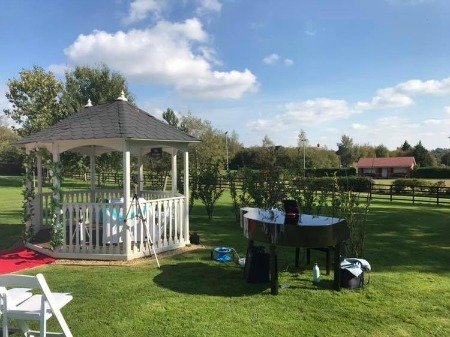 Andrea played at our recent Wedding at Moddershall Oaks. She has been a pleasure to deal with from start to finish. Her attention to detail has been meticulous. All of our guests were very impressed and couldnt stop talking about you. Looking forward to seeing it all on video now. Thank you so much. Andrea has an extensive repertoire.